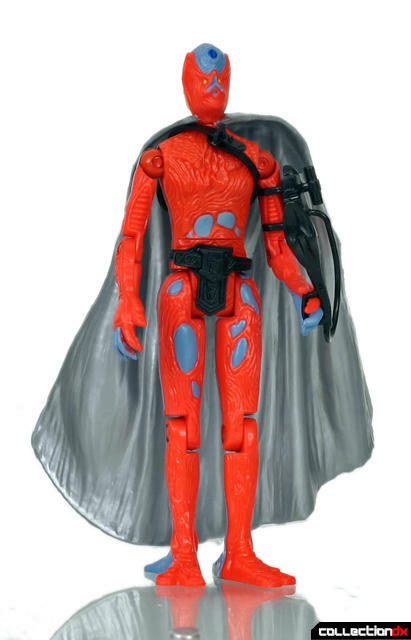 As the Four Horsemen kick the renewed Power Lords into production in the coming months, I will be revisiting the classic figures. 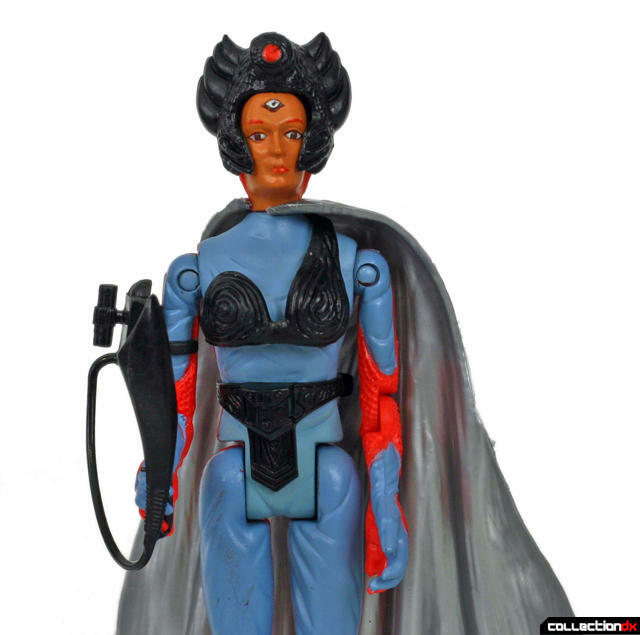 The Power Lords is a strange property. 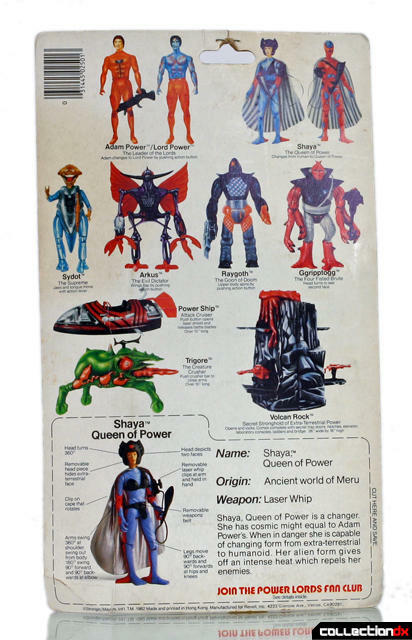 In 1983, Revell, the ubiquitous model company, threw its hat into the action figure ring with the Power Lords, a fantasy-themed series roughly in the vein of Masters of the Universe. Revell enlisted the talents of science fiction illustrator Wayne Barlowe to develop the designs. Barlowe’s designs are some of the strangest ever realized in a mass market product. 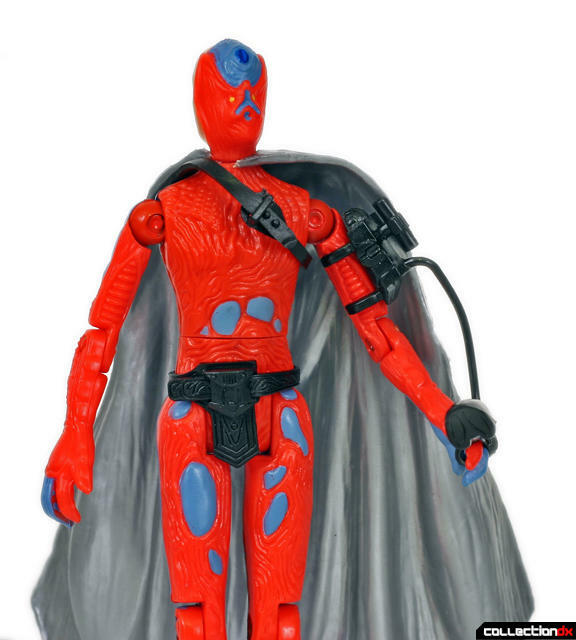 The Power lords were creepy, sinewy, organic space aliens, more like nightmares than the rote muscle-men of the He-Man roster. I remember being disturbed and intrigued by the toys as a child. I was too fixated on the Transformers and G.I. Joe to pay much attention, and the Power Lords were on shelves for about a half an hour, but they were some of the first figures I picked up off of ebay as an adult. Shaya holds a special place in the section of my brain devoted to nostalgia. 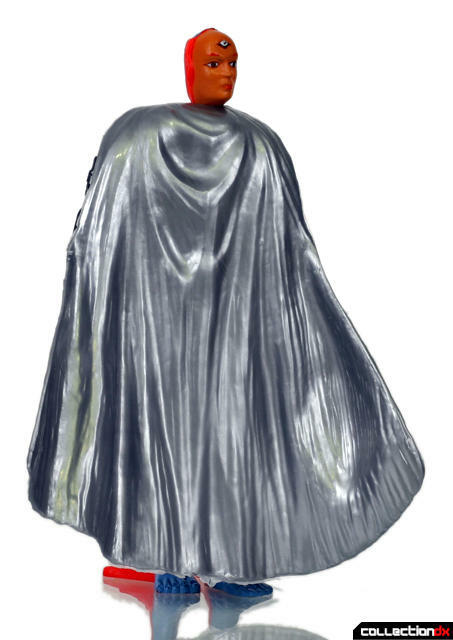 I have a vivid memory of inspecting this figure's packaging. This illustration, in particular, intrigued me greatly. The fact that the actual alien mode wasn't pictured on the back of the card drove me crazy. I just had to know what Shaya's creepy alien form looked like. It took me another twenty years to find out. I was not disappointed. 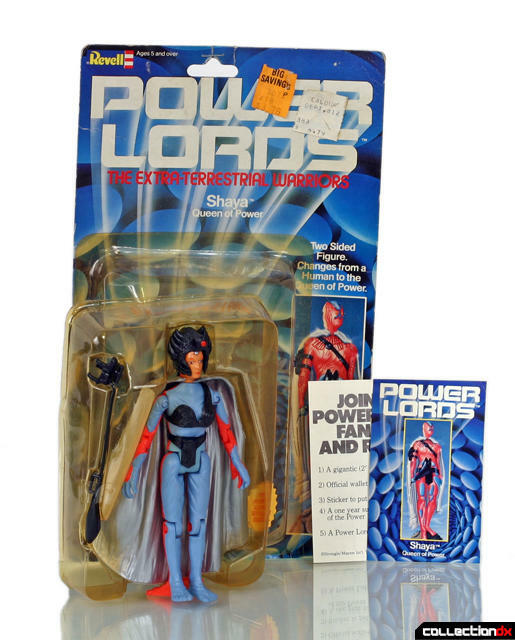 The Power Lords packaging was standard mid-eighties fare. The graphic design was above par, but the plastic used for the blisters was not great, and all surviving specimens are yellowed. Shaya, Queen of Power, is a changer. She has cosmic might equal to Adam Power's. When in danger she is capable of changing form from extra-terrestrial to humanoid. Her alien form gives off an intense heat which repels her enemy. Shaya is one of the Protagonists of the series, fighting alongside Adam Power against the villainous Arkus and his minions. 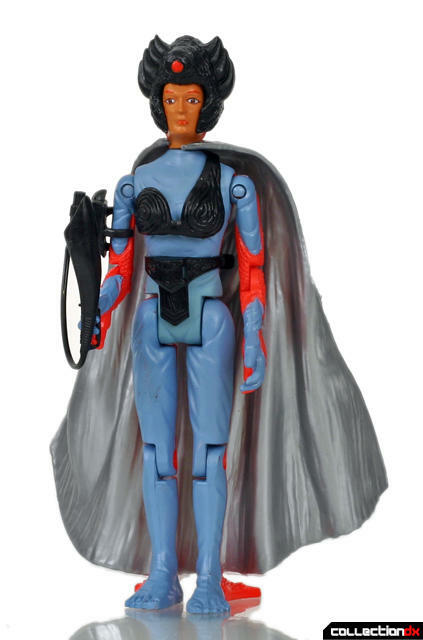 Toy manufacturers in the eighties were surprisingly game to release female action figures. From Lady Jaye and the Baroness to Evil-Lynn, there were all kinds of acceptable options for boys to play with lady characters. 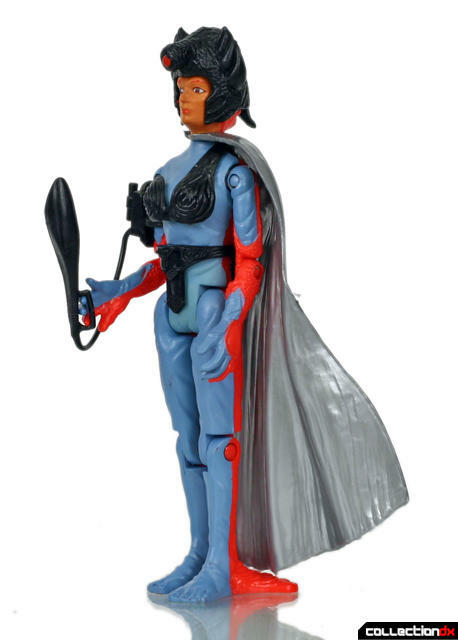 I was into this figure because it looked cool, and Shaya's gender never bothered me. Shaya is packaged in Humanoid form. The sculpt and detailing are unusually sophisticated and detailed for the time. I love the muted quality to the sculpt. 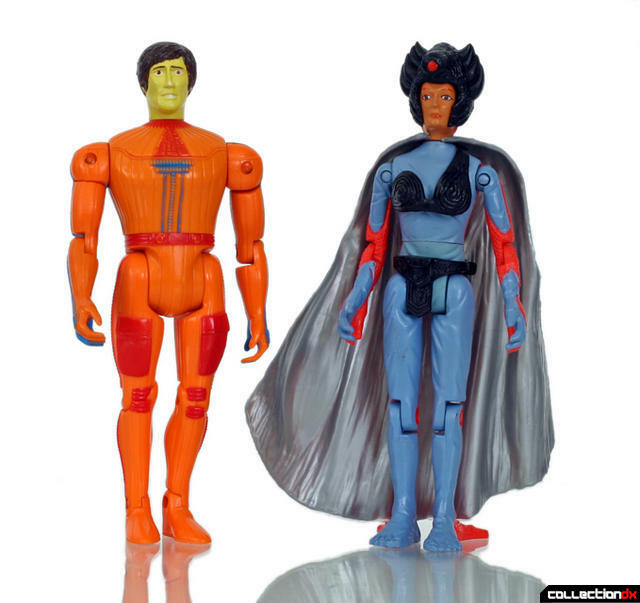 Remember, these were on the shelf beside the hyper-muscular He-Man figures. 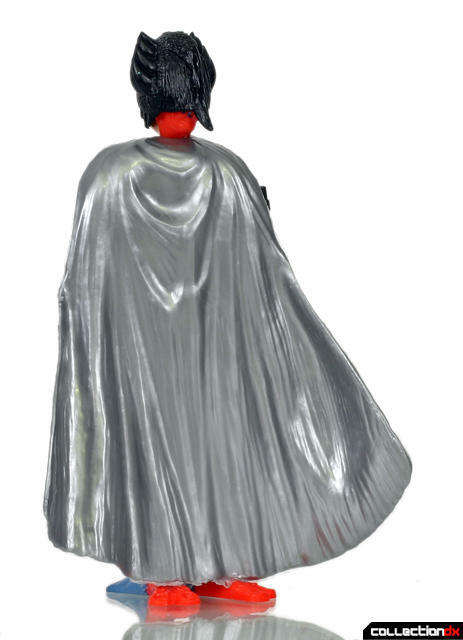 Accessories consist of a furry helmet, a kind of battle bikini, cape, and laser whip. Everything fits pretty well, though the laser whip is a little awkward to place into her hand, owing to the odd double-sided sculpt. 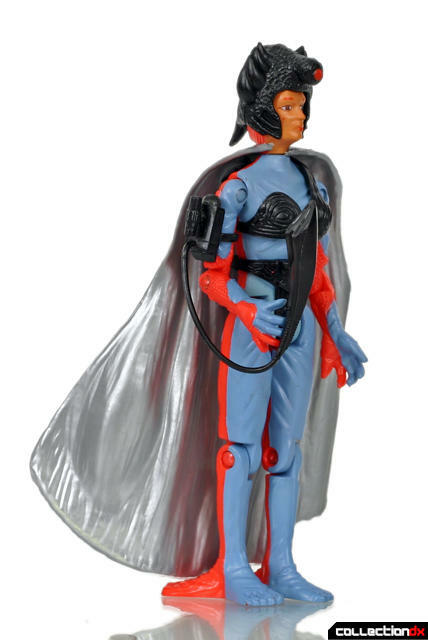 The fully clothed Shaya is a good looking toy, more off-beat and less cartoony than other female figures. If you remove or adjust her helmet, you can see her third eye. Shaya's all fine and good like this, but the whole point of this toy is her alien mode. You need only spin her cap around and remove her helmet to reveal the alien form. And boy is it a doozy. The day-glo fibrous orange musculature, accented with blue blobs, is exquisite. Look at that strange head! I love that the head, arms and feet are double sided. What an innovative way to maximize the play value of the sculpt. The alien mode looks okay with the helmet, which disguises the disturbing face on the back of its head. Articulation is just fine, though nothing special. Everything about this design appeals to me. This is like Masters of the Universe on Peyote. I love that this genuine, non-cartoonish psychedelic alien design actually made it to market. Sure, it wasn't particularly successful, but a generation of kids with off-kilter tastes remembered this strange property fondly. Here's Shaya, with series protagonist Adam power, in humanoid and alien modes. 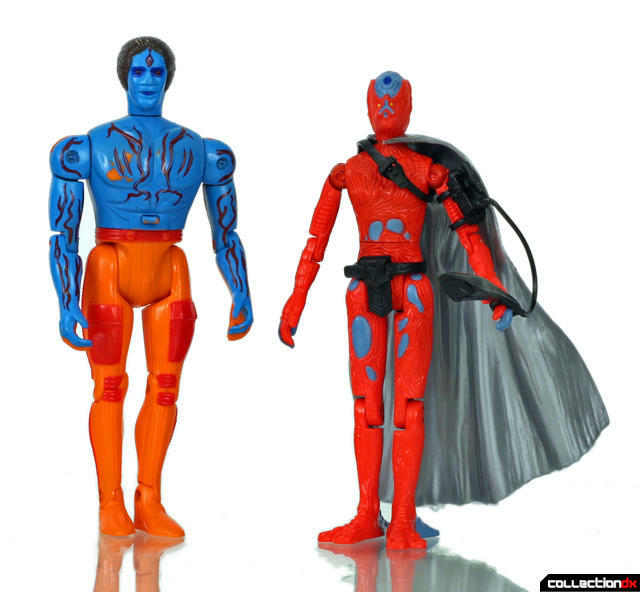 I vividly remember these guys sharing toy store shelves with Sectaurs and Eagle Force. 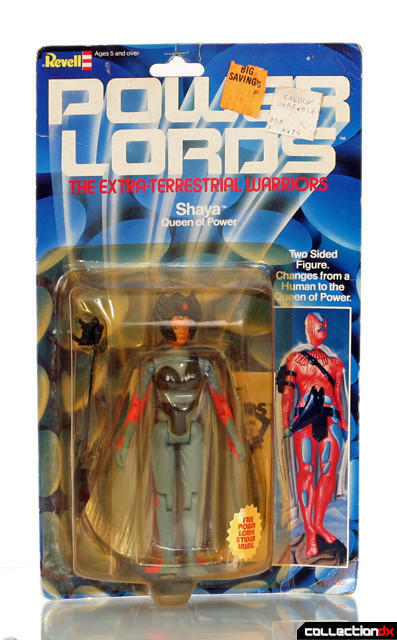 (Star Wars and GIJoe had the prime real estate, freaky toys like Power Lords where relegated to the next aisle). Eat your heart out, Todd McFarlane! Seemed liked many toylines of the 80's used that font for their packaging such as this, along with Captain Power, Robostrux and Robotech. Does that font even have a name? 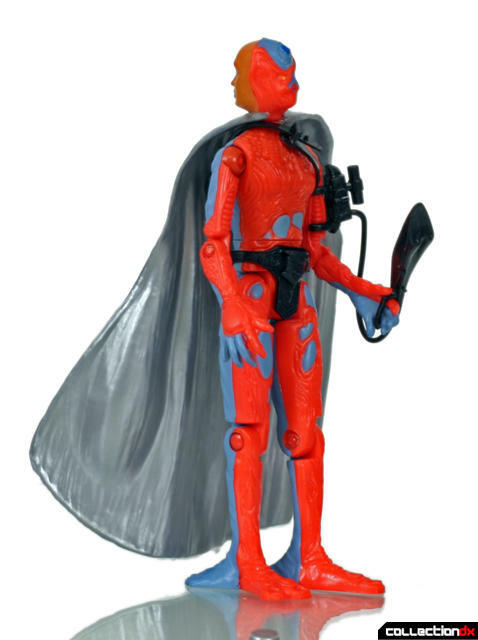 Arkus was the only one I remember owning, he made a good villian for my Micronauts and He-Man. 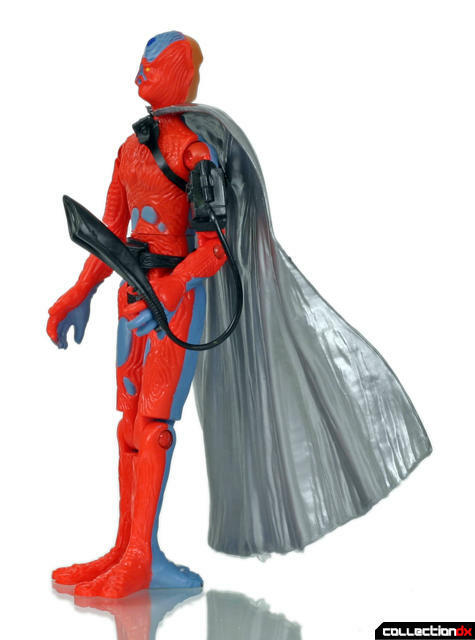 Funny, Arkus was one of the very 1st toys I picked up off of Ebay too. Shaya always freaked me out, looks like something out of hellraiser. You can throw Jayce and the Wheeled Warriors into that genre of ultra weird stuff. Some sort of futuristic vegetable vehicles that wanted to kill you. Yay! Cool review. 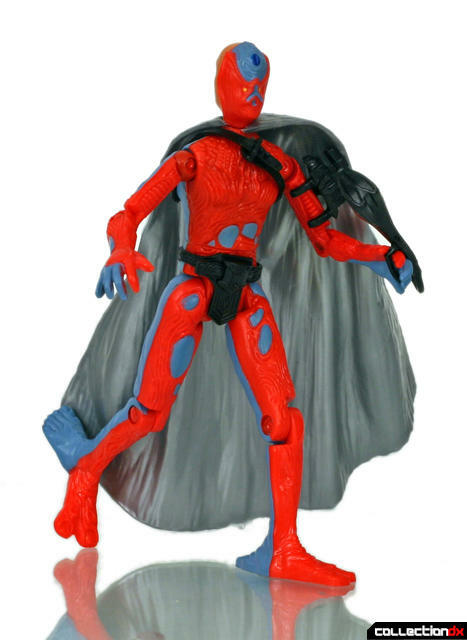 I've been really nostalgic for the old 80s figures lately, but I never had many of these. They're odd figures. Not quite fully sci-fi nor fantasy but an odd mixture of the two. "No man on Earth has ever had such power." I became exposed to these toys as a kid because I owned an Odyssey 2 game console, and there was a Power Lords game for it. I am lucky enough to own a boxed copy of that game, even though it is considered a "holy grail" item for video game collectors. I didn't really take to these toys as a kid, as I thought they were pretty creepy. 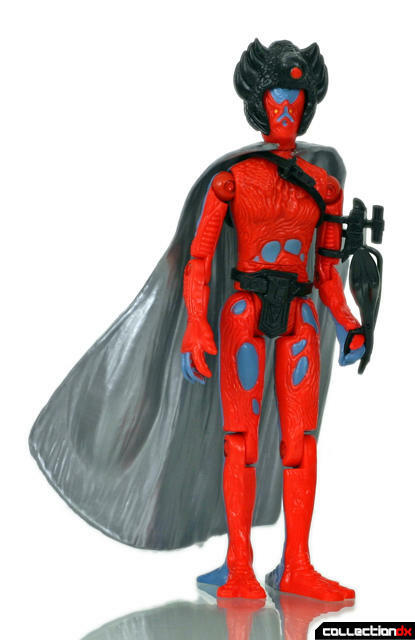 The Shaya figure is probably the creepiest of the original figures. 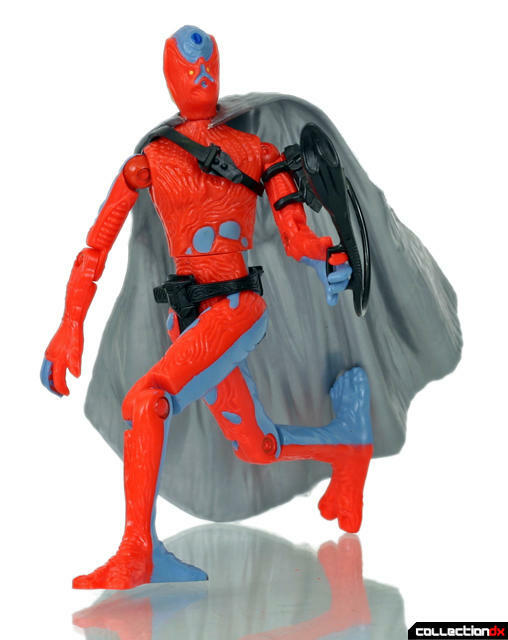 I hope there is a new line of comics to go with the new action figures. It seems like there is great potential for some interesting stories with these characters.